Calnaga Castings is led by Steve Perry, an active contest modeler in the Detroit area with decades of experience. 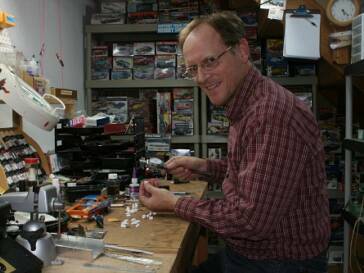 His work has been featured in Scale Auto and Model Cars magazines. Steve's models have taken Best in Class or Best in Show at contests in several states, including four Best in Class wins at GSL. He has had multiple Best in Show awards at the Detroit Autorama and the Motor City Madness contest. Steve has also picked up the coveted People's Choice awards at the NNL Nationals for Best of Show and Theme awards. He is a full time engineer for one of the Big Three U.S. automakers. The foundation of Steve’s build style is technical realism, and you’ll see that in the castings we offer here.